Should I Clean a Diamond Ring Myself? For rings and jewelry you wear every day, it's important to keep them in tip-top shape. Is there a point, however, when cleaning your jewelry too much can be damaging? Is not cleaning your engagement ring enough doing more harm than good? Without question, it's more important that your rings are kept clean than being afraid you are washing your jewelry too often. Dirty, unkept jewelry can be a safe haven for bacteria which could eventually lead to skin irritation, allergies, and complete discoloration and degradation of the metals. Excess dirt and debris can lead to gemstones becoming scratched as well. As long as you take care to clean your jewelry the right way, the risks of damaging your jewelry are far less. Rigorous scrubbing, harsh chemicals, and submersion in liquids for too long are all things that can damage your jewelry in the long run. How often you clean your diamond rings and other jewelry is dependent on how much you wear them. Diamond rings can withstand more wear and tear than, say, a cameo or opal ring. Since diamonds are more resilient, they can be more aggressively cleaned more often. 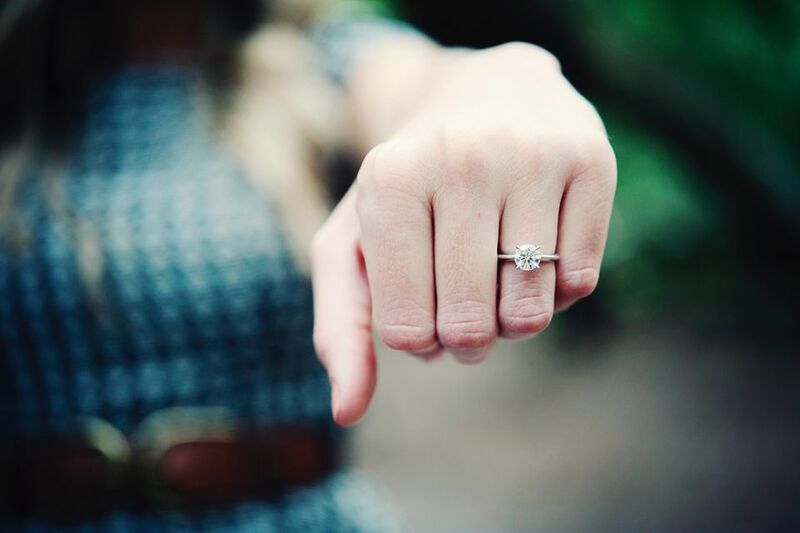 If you are wearing your diamond ring every day in situations where it's likely to get dirty, give your ring a quick and gentle scrubbing once every two weeks. Opt for a more thorough cleaning once a month and bring it to your jeweler for a professional cleaning once every six months. For jewelry that is more fragile that you don't wear every day, avoid using liquids often. Sometimes all the ring might need is a quick and gentle wipe down with a polishing cloth and a soft, damp toothbrush. There are many ways you can clean your fine jewelry at home. Depending on the type of jewelry you are cleaning, we have come up with different DIY cleaning recipes you can try. Stick to these recipes for the times in between professional cleanings. Don't let these replace a professional cleaning and inspection permanently. It's important to have valuable jewelry that you wear often checked by your jeweler once or twice a year. If you want the feel of a professional cleaning from home, consider purchasing an ultrasonic jewelry cleaning machine. The price and quality of these devices vary, but they will free dirt and dust from smallest of places, leaving your jewelry looking like new. If you purchased your fine jewelry from a local jeweler, inspections and cleanings are usually included for free for the lifetime of the piece. Be sure to ask if this benefit is included prior to the time of purchase. Be sure to build a relationship with a jeweler you can trust, so you feel confident going to him or her when things have gone wrong. Remember, fine jewelry is not indestructible. If you purchased jewelry elsewhere and want to find a place to have them cleaned, expect to pay between $25 to $50 for the jeweler's time and use of their equipment. Make sure the jeweler has a keen understanding of the jewelry you own. For instance, you will never want to have a jeweler with little experience in antique jewelry to clean and polish your great grandmother's heirloom rings. Antique jewelry takes special care not to erase hundreds of years of patina.